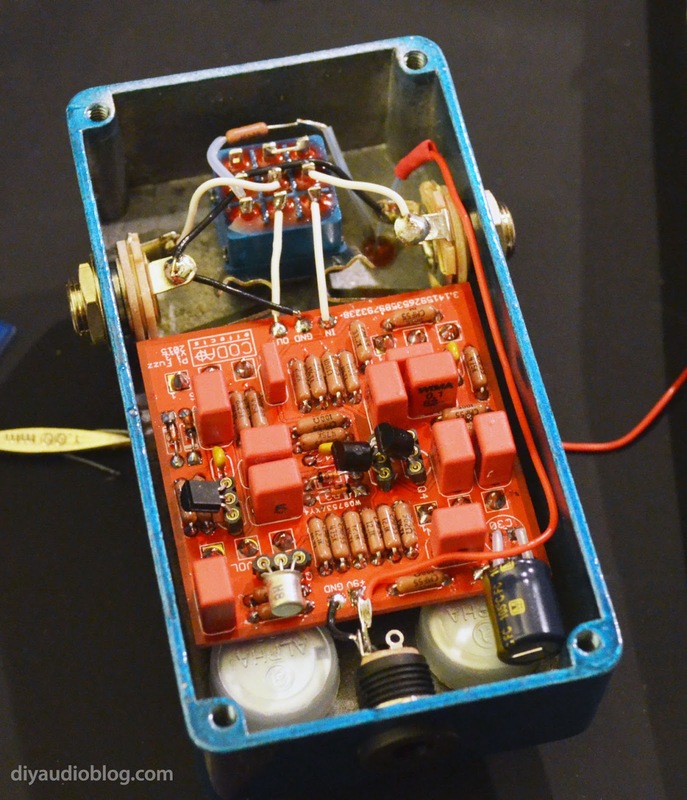 When I started doing research on which guitar pedals I wanted to build, the Electro Harmonix Big Muff may have the largest following of any pedal. 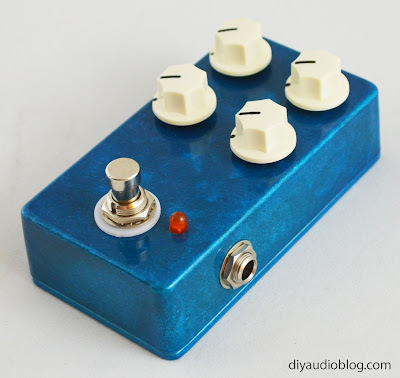 Nearly every boutique pedal provider has a version of the Big Muff, and there are many forum posts arguing which Big Muff configuration is the best of the best. 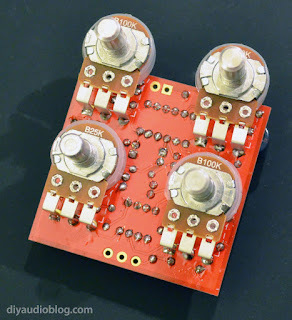 After much digging, I found an extremely well documented PCB which can be configured to many different versions including the V1 Triangle, V2 Rams Head, V2 Ram's Head Violet Era, V3 Big Muff, Green Russian, or Civil War w/power booster... you can even tweak it to work similarly to the Black Arts Pharaoh... so lots of headroom to try different things. 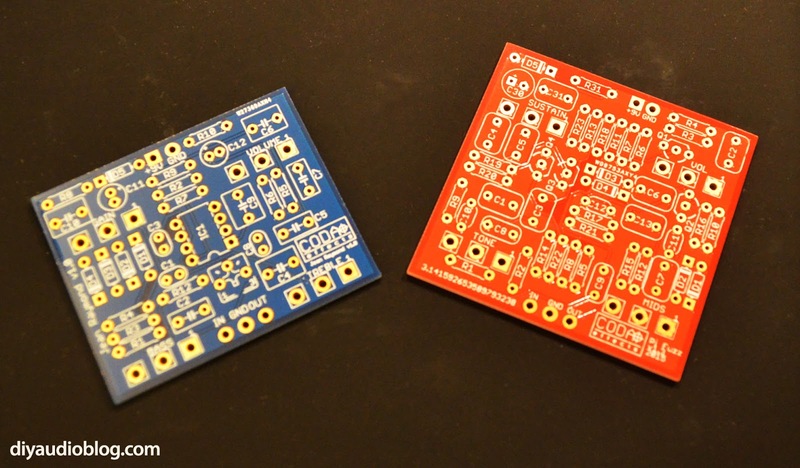 Best of all, the PCB is only $8, so you can experiment away on the cheap. Speaking of cheap, I highly recommend Tayda electronics, you can get most of what you need for a fraction of the price that Mouser or Digikey would charge. All the resistors, switches, op-amps, sockets, etc. I've purchased there work perfectly well. I do usually splurge on name-brand electrolytic caps from Mouser (e.g. Nichicon or Panasonic), but for everything else, Tayda has you covered. 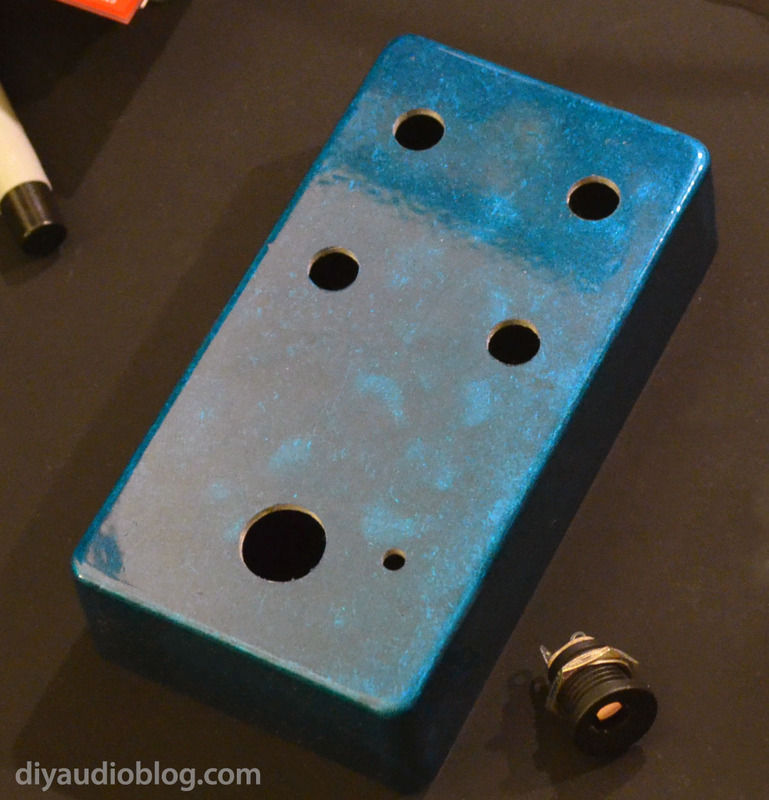 If you want to be cool, you'll get a nicely powdercoated enclosure for your Big Muff clone from Mammoth Electronics... or paint your own :) I chose a translucent blue powdercoat for this pedal. 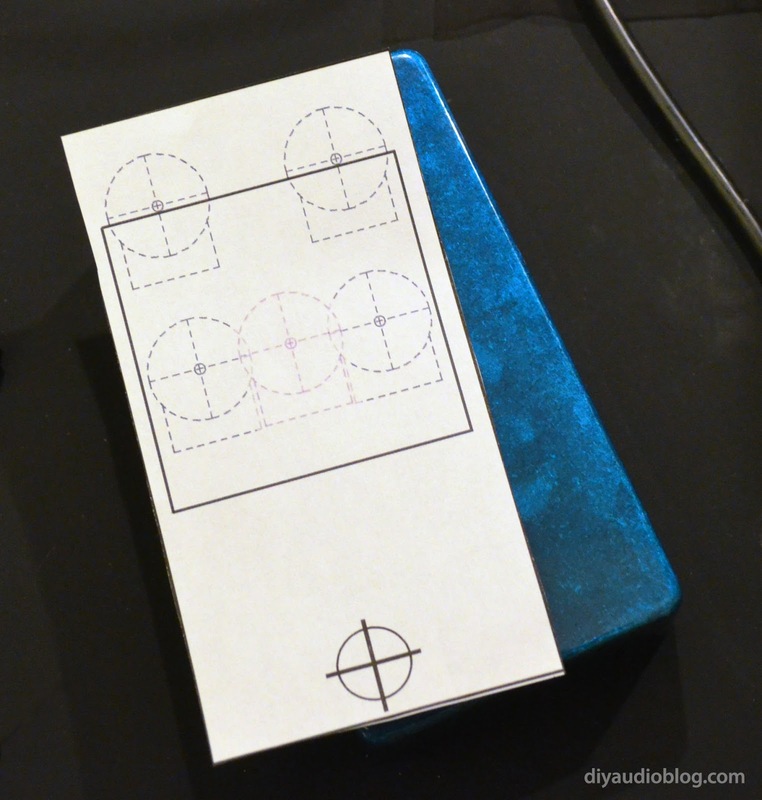 The documentation at Coda (PDF) has a printable template for your drill holes. Make sure to not resize the document when printing, otherwise you might have to order another chassis when your drill holes don't line up. 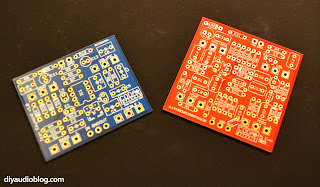 Now it's the fun part (at least for me), populating the PCB with parts. As you know, start with the small parts first (usually the resistors) and work your way up to the capacitors. I'm pretty OCD about this process. I measure the resistors to ensure they are the correct value, solder them on the bottom, trim the leads, then solder the top of the board. Most people just solder the bottom and trim the lead. No matter the method, it won't take you long to get everything in place. 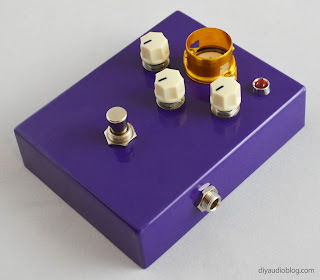 Populated Coda Pi Fuzz board...sweet! If you're wondering about the parts used, they are Wima film caps, Vishay Dale mil-spec metal film resistors, and a Panasonic electrolytic. They tend to be the preferred parts for audio people, but you'll likely do just as well with their cheaper counterparts. I followed the Ram's Head Violet Era bill of materials (BoM) for this particular build. I had a good listen to various YouTube videos before I settled on it as my favorite of the bunch. Many people like the Green Russian, so give that a good listen as well. The cute little Alpha pots with non-conductive dust covers sit on the other side, no wiring to worry about. These are from Tayda Electronics if you are looking. "A" means audio log taper, and "B" means linear taper... so B25K means a 25K value pot with linear taper. Sorry, that will never show up on trivia night at your local bar. Just a heads up, but shoehorning everything into a 1590B is a tight squeeze. I should have drilled the pedal switch a bit lower, but I still made out okay. The great thing is the pots hold the PCB in place, no need for standoffs. So tight that I needed to mount the Panasonic capacitor sideways and give the transistors a bit of a gangsta lean. The 1/4" plugs fit perfectly. As you can see nearly all the real-estate is filled. And the final product, which sounds excellent. 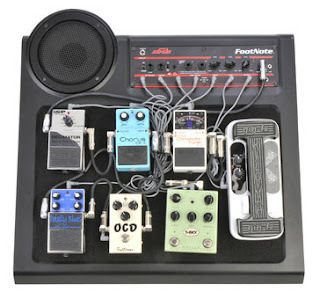 Lots of fuzz for your buck. 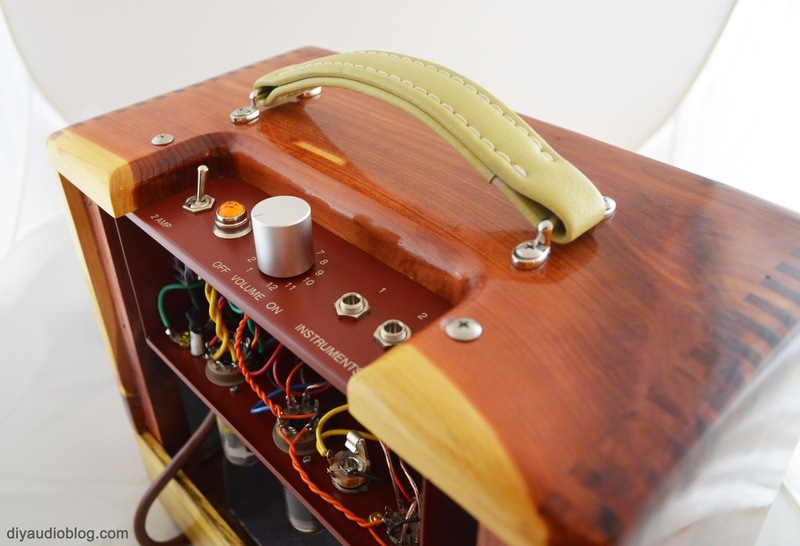 The knobs are also from Tayda. Hope you enjoyed the build process of the Coda Effects Dolmen Fuzz Pedal. If you'd like to get started with a versatile effect with exceptional documentation, this is a great choice. Remember to use good quality parts like Switchcraft 1/4" jacks to ensure your new pedal lasts a good long while. Until next time! Please remember that building/modifying circuits can be dangerous to you and/or your surroundings and should only be performed by a certified technician. 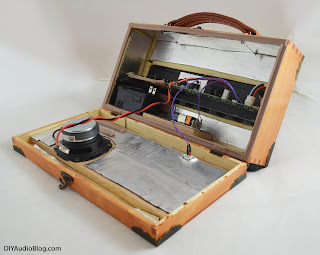 The owner of this blog and all associated parties can not / will not be held responsible if you attempt a build or modification posted above and cause physical harm to yourself or your surroundings. 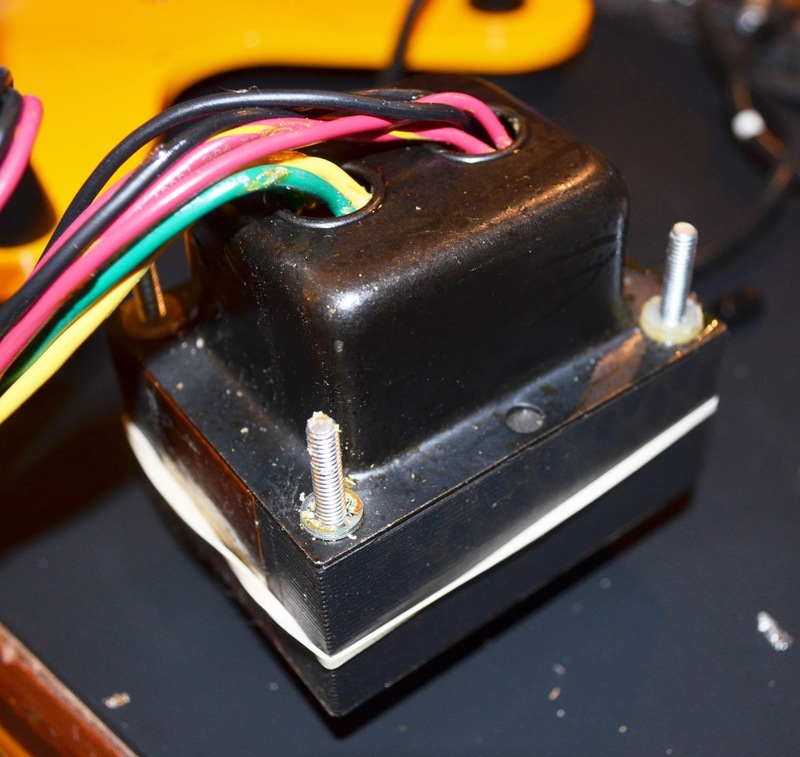 Many electronics contain high voltages that can kill, and mods, if performed improperly, can be a fire hazard. I've seen a few designs out there that starve a tube filament to maintain a low voltage and still provide nice results. The Matsumin Valvecaster is one of them. 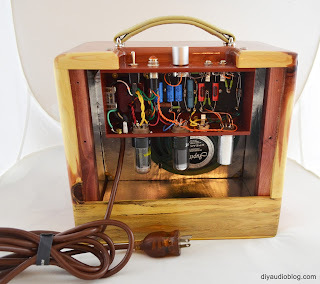 For those afraid to work with tubes due to high voltage (cue Electric Six, "Danger! High Voltage! "), this keeps the power at safer levels. It also allows a 9v battery to be used (or 12V) but will consume them fairly quickly... so an AC adapter is recommended. My favorite diagram/illustration was from David Smith. 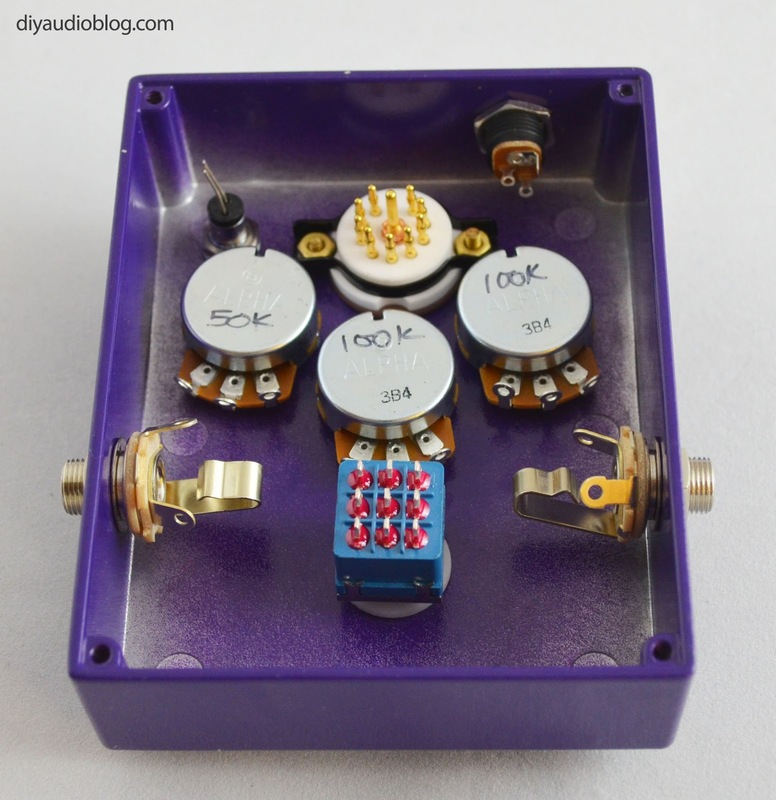 The input and output jacks are included as well as the 3PDT switch to bypass the circuit. David's illustration is intended for a turret board, but if you prefer point to point it's still easy to follow. Be sure to note the orientation of the 3PDT switch, it won't work if it's oriented differently (i.e. twisted 90 degrees). 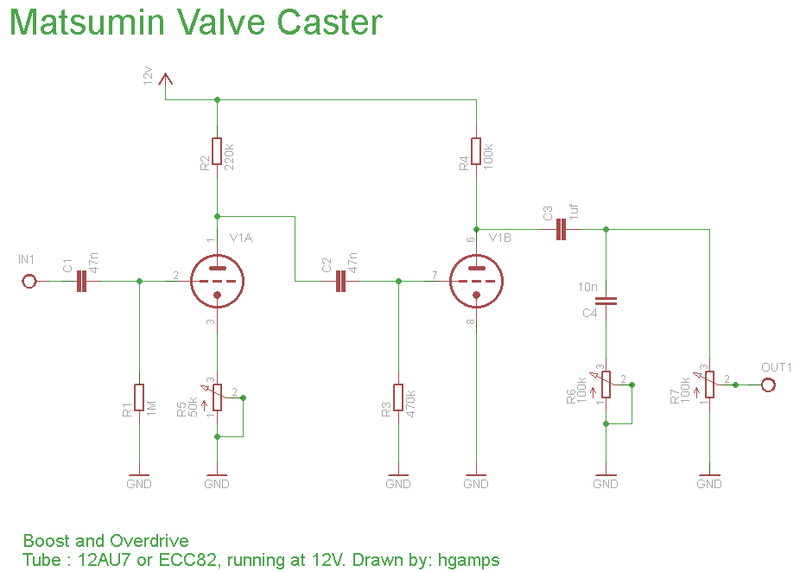 Here's another diagram from Stompboxed, it's a little harder to follow but still helpful. You'll probably want to use one of the larger Hammond 1590BB (or Hammond-style) chassis as I don't think trying to shoehorn this into a 1590B would be terribly easy. The 1590BB is available from the usual suspects, Mouser, Digikey, etc. 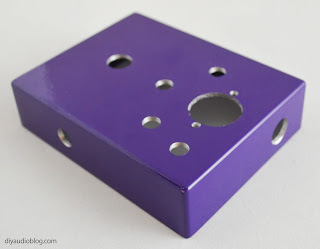 in a variety of powdercoated colors. You can also go to Mammoth Electronics and get some much cooler paintjobs for a few more bucks, or go crazy with some waterslide decals... the sky is the limit. For this project I went with a purple Hammond 1590BB ... you can almost taste the grape looking at it. These are cast aluminum, so you need to treat them a little more gently than something that's extruded (e.g. try to do more drilling on the drill press rather than punching holes). Punching out the holes with a tool can sometimes take away more metal than you anticipated. I used larger Alpha pots in this build as I had them in the work-bin. CTS, Bourns and PEC also make good pots, and if you want to check out surplus, Clarostat and Allen Bradley are also great choices. 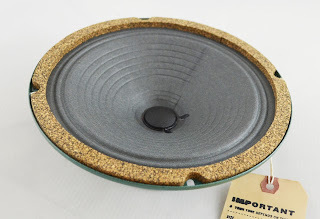 The ceramic 9 pin tube socket is set against the chassis with a rubber "o" ring which can help quash microphonics. It's overkill for this build, but I had it in the bin. Beltons are cheaper and work great as well. 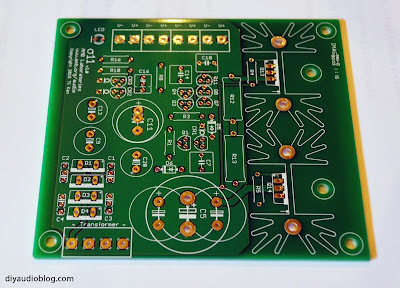 There is a corresponding PCB to be used with CNC tube socket as the solder tabs are quite small to solder accurately. 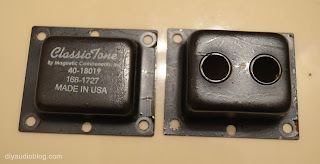 These can be found on Ebay by searching for "9 pin PCB", and Partsconnexion also carries them. The Russian PIO caps are a little on the large side and have metal shells, so they need to be carefully placed so they don't short any leads. They can also be covered with heatshrink. PTFE (teflon) tubing is placed on bare leads to ensure they don't short either. Also space needs to be given to the open-frame Switchcraft 11 1/4" jacks so they don't bump into any parts or wires when being inserted. 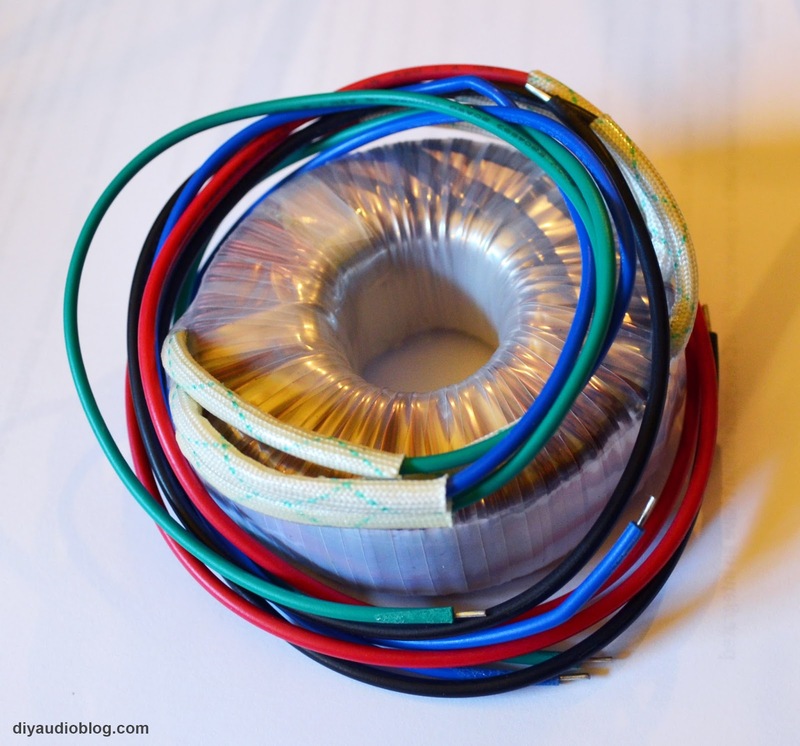 Using different colored wire during the wiring process can help you visually follow the circuit if it doesn't work upon plugging in for the first time. Having a rat's nest of the same colored wire makes things much more difficult. 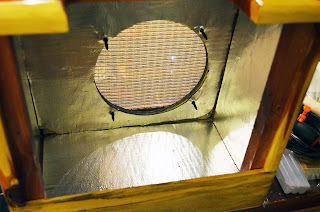 On top of the chassis a tube shield will be installed to protect the tube from an errant foot. You can find these in a number of anodized colors from Angela.com. I thought the gold looked nice contrasting against the purple. 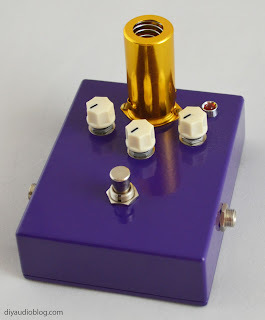 Hope you enjoyed the build process of the Matsumin Valvecaster Effects Pedal. 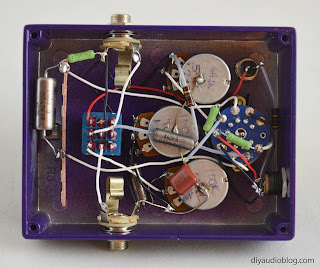 You can see it's pretty easy to build a great effects pedal without a PCB and just a few parts. 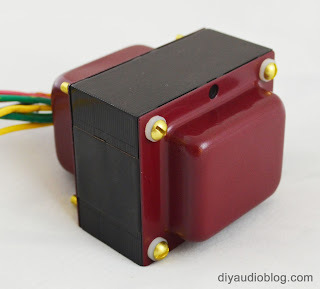 Remember to use good quality parts like Switchcraft 1/4" jacks, Alpha or CTS potentiometers, etc. to ensure your new pedal lasts a good long while. If you are looking for a simple guitar amp circuit with great tone and you don't need a lot of power, the Champ 5F1 is a great choice. The Champ 5F1 was introduced by Fender in 1958 and were produced in tweed covered cabinets until 1964 when the "Blackface" circuit and cabinets were introduced. 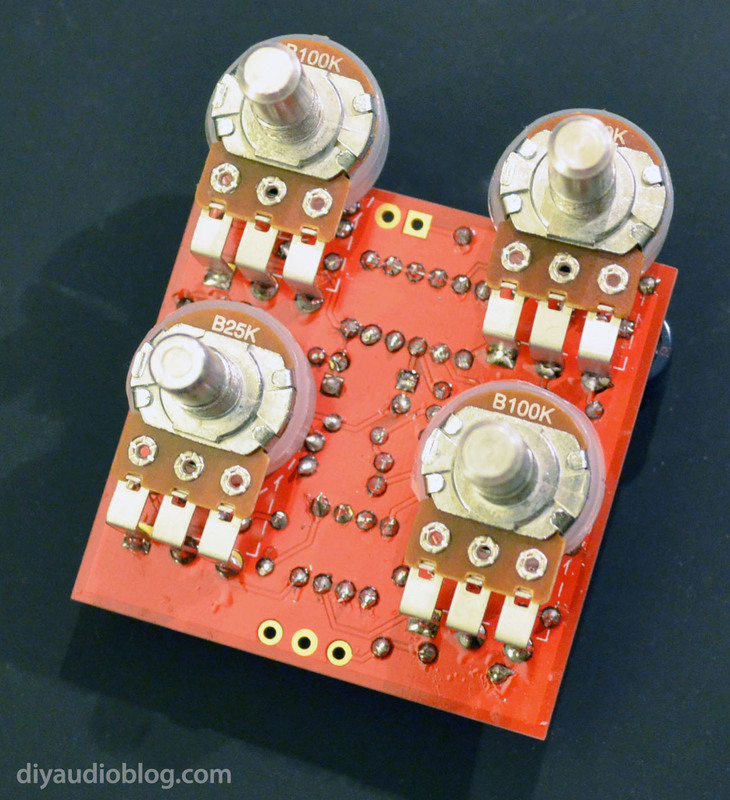 The 5F1 features 6 capacitors (+1 additional bypass if desired), 12 resistors, 3 tubes, and one potentiometer. 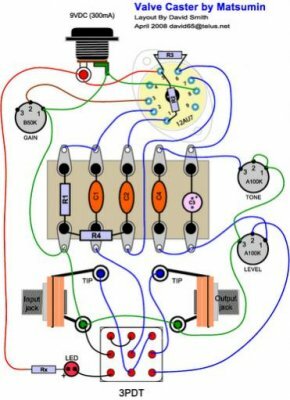 Not only is a simple circuit harder to screw up, it's easy on the wallet too! 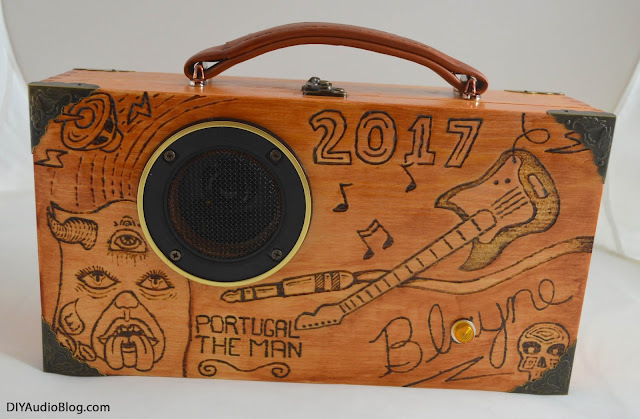 The output is a modest 5 watts, which is great for practice and studio work. 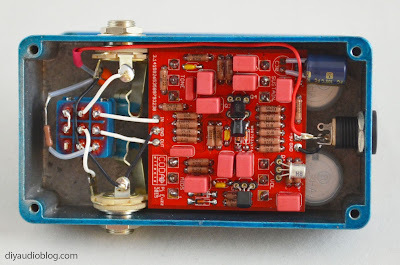 There are some chunkier transformers that let you bump up to 15 watts with a tube and resistor swap if desired. 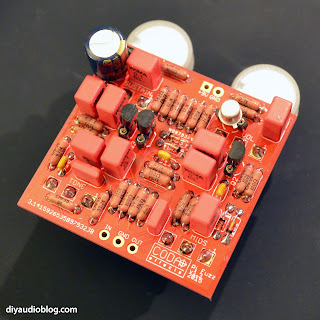 The Champ 5F1 starts its life as a turret board. If you're not familiar, these were very common in the 50s and 60s, where axial capacitors and resistors were lined up on the board. Why I wasn't alive back then, I assume this made electronics easier to fix for the visiting repairman, who could simply look at the board and see where the problem component is and replace it easily. The use of these faded as electronics were more commonly replaced rather than fixed. You can easily find one pre-made for the 5F1 on Ebay, Watts Tube Audio or buy a black FR4 board, drill the holes and affix the turrets yourself (It's fun!). You can get the tools to do that at Watts Tube Audio as well... I encourage you to support them, they are a great small business and a source for myriad board designs. Adding the caps and resistors is easy, just ensure the leads are long enough. Some carbon comp resistors from Mouser were too short I found. The parts used here are Illinois Capacitor electrolytics and Koa Speers / Kiwame resistors. Some people prefer Sprague for the axial caps, however I've heard from a trusted source that he's experienced failures first-hand with them, so I steer clear. F&T is the only other high voltage axial capacitor maker that I am aware of. It's a niche market, so we're lucky we have three options. Next, you'll need a chassis. While I often drill my own, sometimes it's nice to take a little break and get a pre-fab one. 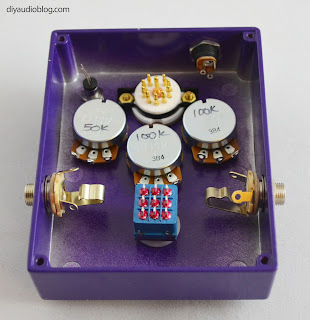 This one is from Tube Audio Supply and is very high quality. They supply a number of colors in addition to the typical polished/chrome, great for a personalized look. 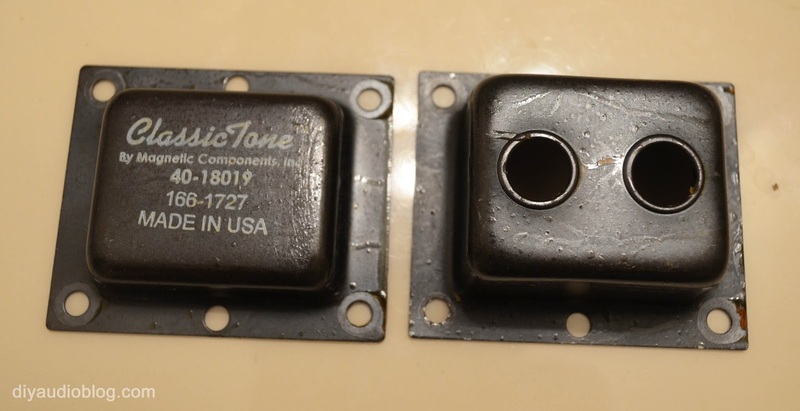 After much reading regarding transformers, ClassicTone by Magnetic Components seemed to be the best bang for the buck. I chose the 10-18019 model, 5/15 watt version for power. As you can see below they aren't too easy on the eyes, there's quite a bit of errant varnish. It also may have been the end of the day on Friday when they put this one together. The nylon washer broke off inside so the builder put a few lock washers there instead. A little bit of elbow grease, paint and new screws/nylon washers go a long way. ...too bad, as I liked their logo on the bell. Aside from the visual issues, the transformers seem very solid. Below is the unit with the mostly-populated turret board in place. The light is the typical Fender jewel style that I like to use on pretty much everything. 1/4" jacks are Switchcraft, and tube sockets are Belton. The pot is a high quality PEC unit from Canada, which I feel is worth the extra scratch over CTS / Alpha. Getting all the wiring correct is important, and a little tricky as there isn't a ton of room once everything is in place. I highly encourage you to visit Rob Robinette's fantastic page on the Champ 5F1. It lays out all the parts and their purpose, as well as optional parts. Rob is an awesome guy. I once messaged him to donate some funds for site maintenance as I was building one of his designs and he told me "just buy yourself a few beers, I do this because I love it". 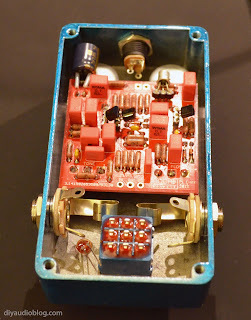 Also on the page are various guitar mods, headphone circuits, car tweaks, you name it. Next we need a cabinet to drop this puppy in. 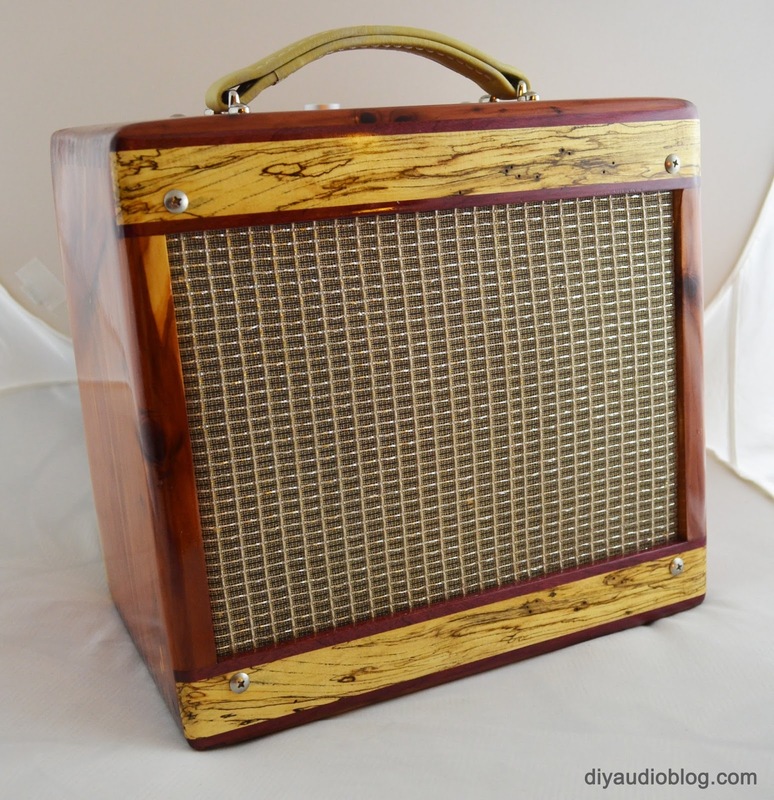 I had one custom made for me by a Jim, who goes by tubeampcabinets on Ebay. The work is phenomenal, with Spalted Maple and Purple Heart accents. I highly recommend you reach out to him via Ebay to get yourself a nice cab yourself. 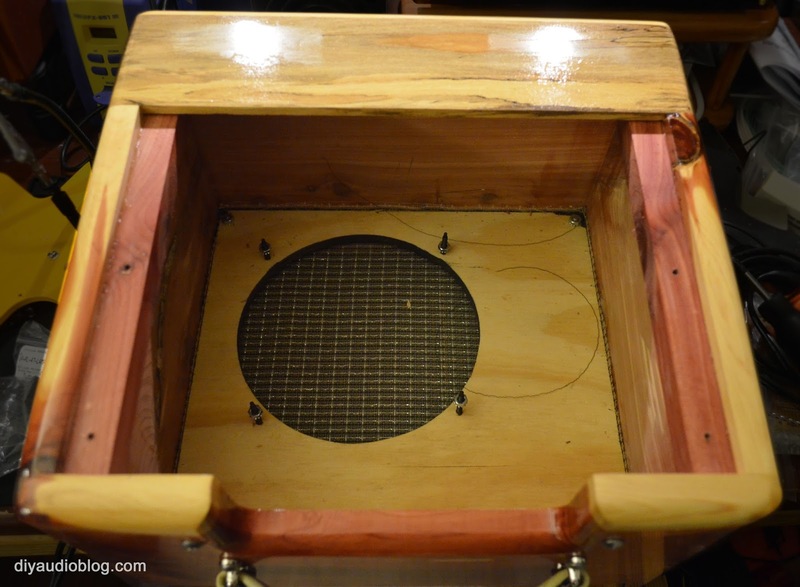 While it's not necessary, I had some spare damping material which I added to the box to prevent standing waves. 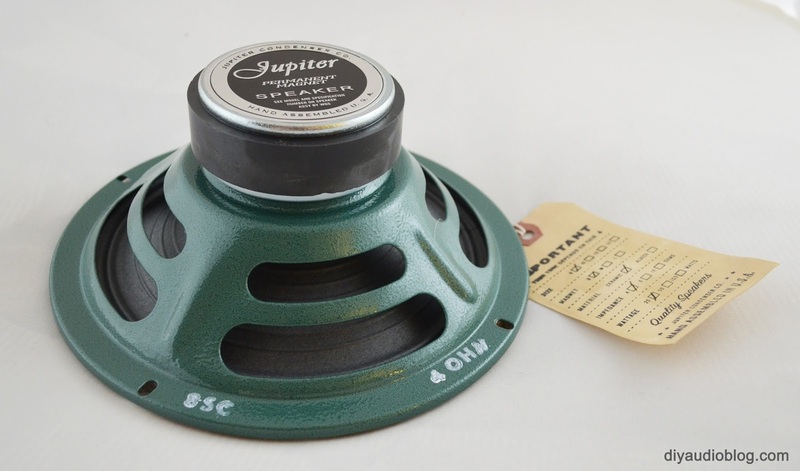 The driver I chose is an 8" 4 ohm ceramic from Jupiter Condenser. Anyone who's followed my blog knows I love Jupiter's capacitors, they have a warm, natural tone that does music right, so I HAD to try a Jupiter driver. Below you'll see the unit with everything fitted, including the Red Astron Jupiter tone caps and a burgundy hospital grade power cord that I purchased from a surplus electronics store. As the PEC pot did not include a switch, I added one, a surplus Carling SPST, thus the 2 Amp fuse had to be mounted inside the chassis vs. a panel mount. One of the greatest things about the Champ is that there are many NOS tubes out there for dirt cheap. I got a handful of 5Y3 rectifiers and 6V6 power tubes for a song online. You'll find plenty for around $10 each. The 12AX7 is going to be a little more pricey , but still much more reasonable than say a 6922. I had a spare Yugoslavian Ei from the 80s that I dropped in, nice and smooth sounding. If NOS is too expensive, there are many good new production 12AX7s out there. 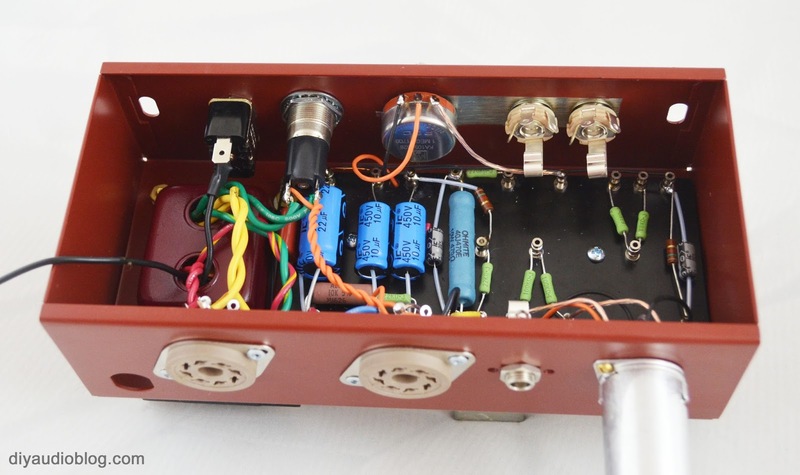 I personally like the long-plate Sovtek 12AX7-LPS, which are about $15 a pop. The knob I chose was one I had in-hand. It needed to be milled a bit to fit, but I liked it a little better than the red chicken head knob I had selected for the amp initially. The result, beautiful tone from an amp that's very easy on the eyes. Anyone who does DIY knows it can be expensive at times. As the dollar weakens and metal commodity prices rise, so do capacitors, resistors, transformers... you name it. There is a great way to get around that though, with surplus and buyout parts. There are many companies out there that procure these parts from discontinued products, company closures, old military stock and other sources and flip them at a discount. While you may need to modify your specs to accommodate some of these parts, they generally work perfectly well. Apex Jr. is one I frequent, and Partsexpress is also a great source for some unusual finds. 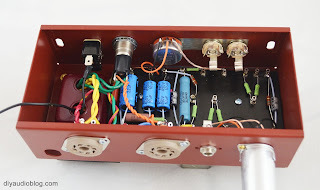 Partsexpress recently procured a buyout of Footnote electric guitar 5 watt amp assemblies and are passing them along for $15 a pop, a great deal given the complexity and quality of the unit. 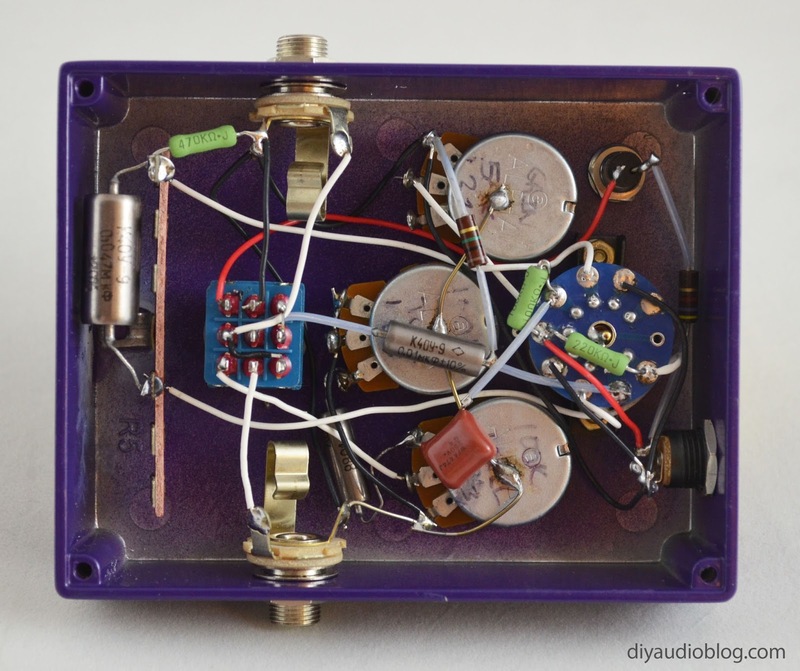 For $50-100, you can put together your own miniature guitar amp for practicing or small gigs. I decided to put one together as a gift for someone I knew would appreciate it, so I ordered the unit along with an A/C adapter, full range driver, grill and a few other items. Below is a list of parts with some embellishments that can be included as desired. As you can see, nearly everything can be sourced from PartsExpress. Some other things that I had on hand that were needed were some 24 gauge wire, screws, solder, wood stain and seal, 2.5" hole saw, drill, etc. The only modifications needed for the wine box were drilling the hole for the speaker, cutting the hole for the amp unit, and removing the little wood piece that would separate the two bottles of wine. I had a spare piece of mahogany that I used to reinforce the baffle area for the speaker. Drilling the parts in place like the handle and feet only takes a few minutes. 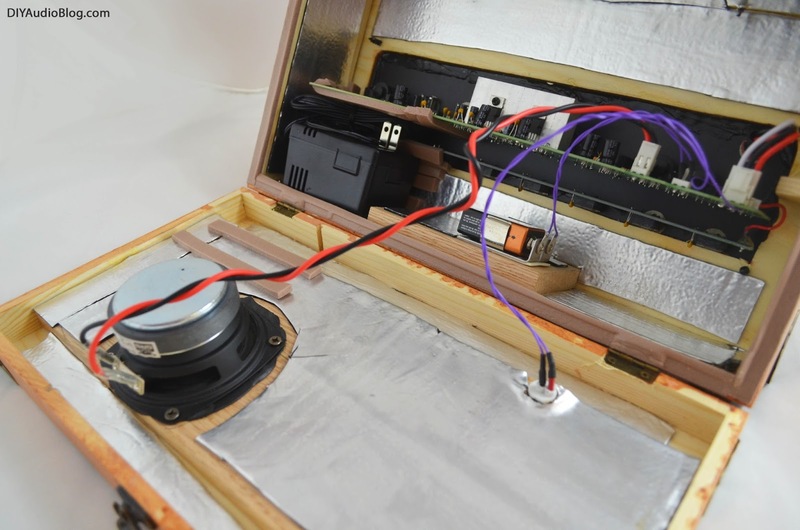 There is a small amount of speaker caulk to seal the driver and amp within the box, the interior is covered with the automotive damping sheets, and the weather stripping helps seal the box around the perimeter. 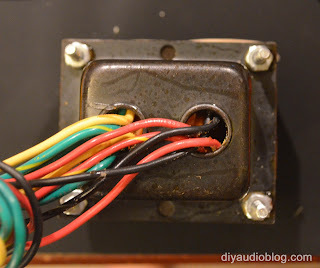 The wiring to the driver connects directly to board via an adapter, but to add the LED pilot light I needed to solder some leads to the on/off switch so it would only turn on when the amp is on. The unit can also run on battery power, so I soldered another couple of leads to the board and ran them down to a 9V battery clip. As the amp creates a modest 5 watts, the battery should last a while. There was room in the box for the A/C adapter, but care was taken to ensure it would not short out or damage the board. After the photo below I added some additional wood to secure it in place. 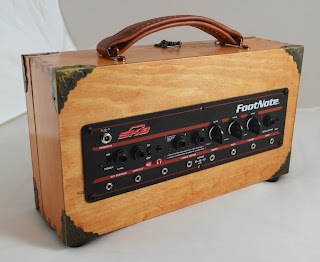 The SKB Footnote unit was actually made as a practice unit for guitarists that wanted to plug in a bunch of effects pedals, as it offers 8 separate power outputs for them. Per my research, the unit came with a 6" Eminence speaker, real-estate for all the pedals and cost around $300, so $15 is a bargain for the amp unit. Even if you're just using the Footnote as a power supply it's worth the price of admission. The only trick is you'd have to build power cables to work with it as the kind it uses are hard to come by (9v center negative on both sides). PartsExpress does show you how to make one though. Here's the unit in its finished glory. 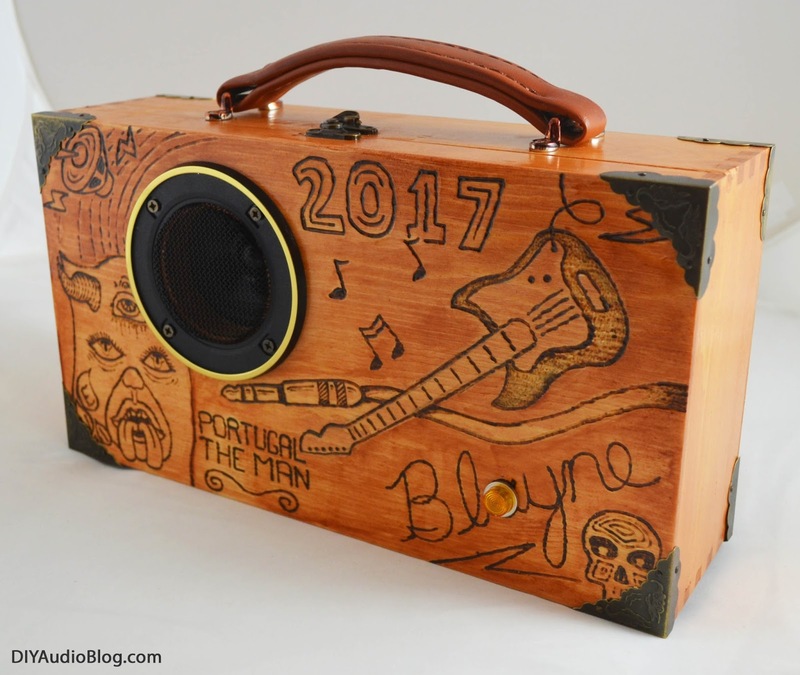 I used a woodburning pen to decorate the surface of the unit and personalize it. I applied the stain selectively to allow some of the objects to stand out a little bit. Should make a great gift! Version 2 of AMB's σ11 (Sigma 11) regulated power supply has been out since June of 2015, but I'm finally getting around to building my own. 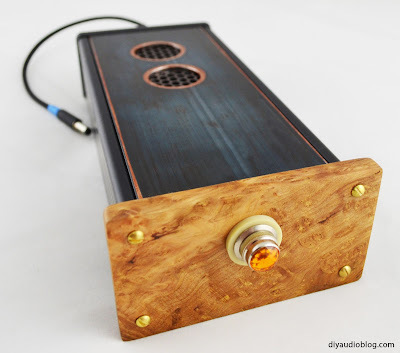 AMB (Ti Kan) is mostly known for his headphone amp and DAC designs, but his site offers several power supply options as well. 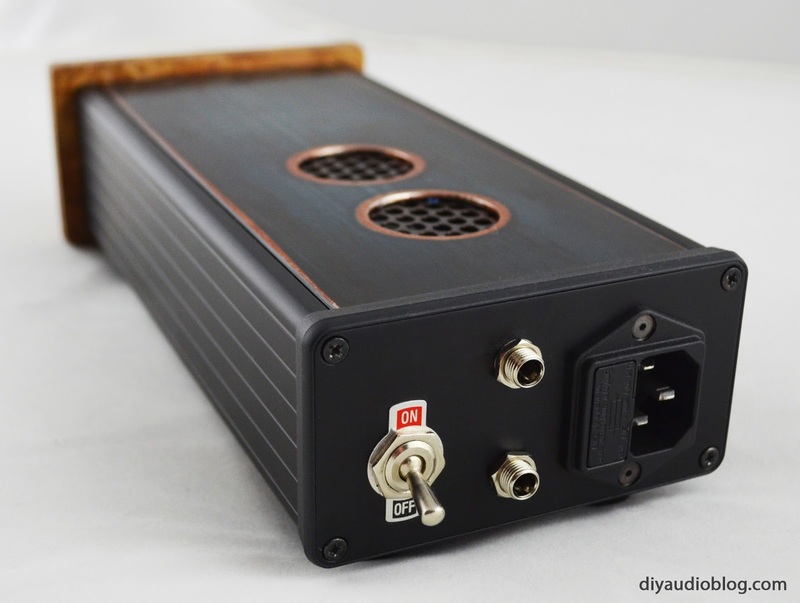 The σ11 is a top notch DIY single-rail linear regulated power supply known for low-noise, high-current, excellent line/load regulation, wide-bandwidth, and stability. 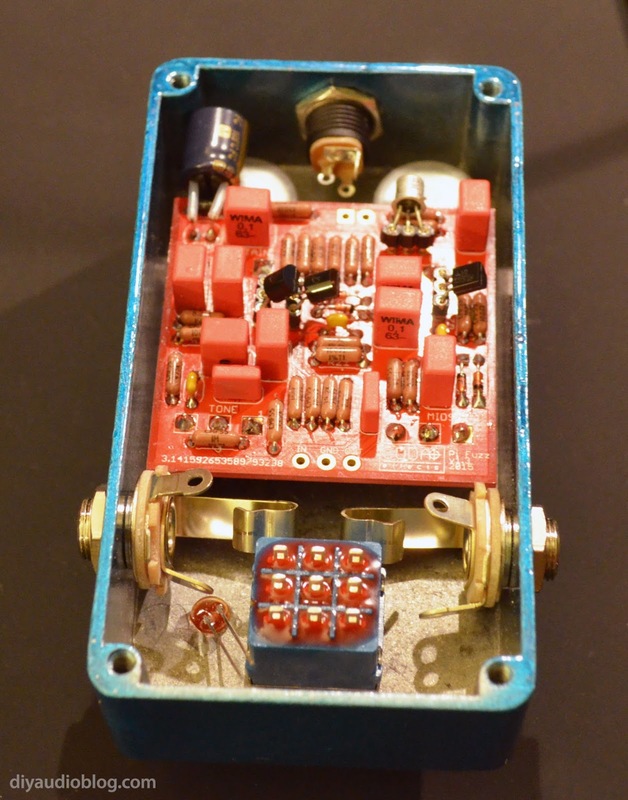 The circuit features all discrete components and high-current MOSFETs for the output. Per AMB, the σ11 is a great choice for DIY headphone amplifiers, pre-amps, DACs, network media players, and other devices needing a single-rail regulated power supply. This power supply is a pretty quick build with ~40-50 total parts. 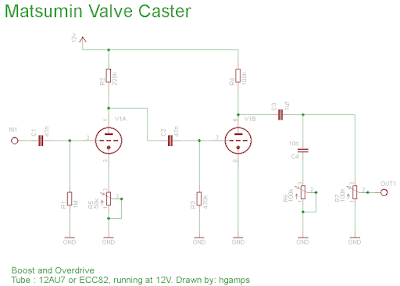 A typical builder can populate the PCB in an hour or two. AMB offers the PCBs for sale on his site, along with some of the necessary parts. The rest you'll need to get from Mouser / Digikey or your favorite parts supplier. I went with all stock parts aside from an Antek 50VA toroid instead of the Amveco TE62062 25VA as it was much more reasonably priced, albeit a little larger. Because of this, the Hammond 1455N2201 was the best chassis size for the job. 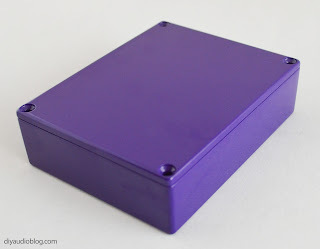 Rather than leave the Hammond case plain, I wanted to give it a little more character. 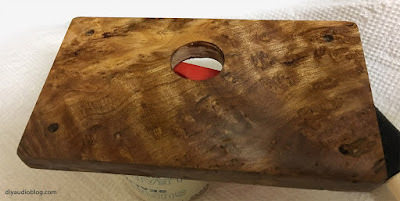 I sourced a piece of wood online which didn't have a species listed, it simply was called Asian burlwood. 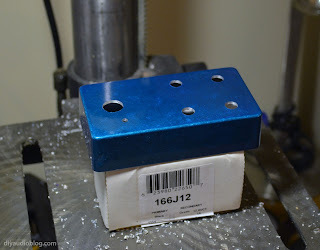 I cut a front plate with about a 1/2" overhang in each dimension and drilled holes for the screws to line up with the existing screw holes in the Hammond case. Two coats of satin lacquer gave it a nice sheen. Two holes were cut into the top of the Hammond case and it was sanded down with 180 grit sandpaper to reveal a grain-like anodization pattern. Powercoated aluminum grating was secured with adhesive underneath the holes... then a permanent furniture market was used to give the bare aluminum a bronze-like color. In the rear, I've installed a pair of outputs. 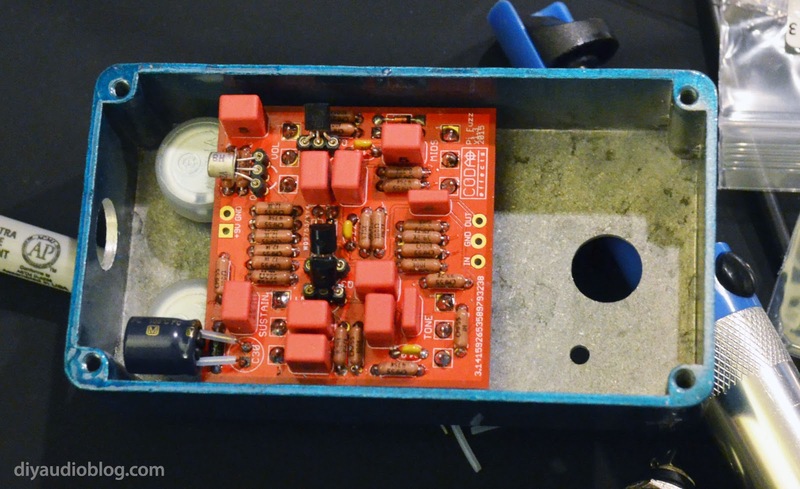 The board offers up to four outputs if desired, but an appropriately sized toroid should also be used. If you're not sure about the rating needed, the forum on the AMB website can be very helpful as other people have likely already asked the questions you are wondering. A Fender-style pilot light was installed up front with an Amber jewel and LED. All done! Now I have a nice regulated 24v power supply now with a pair of outputs.